U Mumba who will playing their home matches at Sardar Vallabhbhai Patel Indoor Stadium is owned by Ronnie Screwvala. U Mumba is currently led by Anup Kumar and coached by Bhaskaran Edachery representing the city of Mumbai in the Pro kabaddi league season 5. 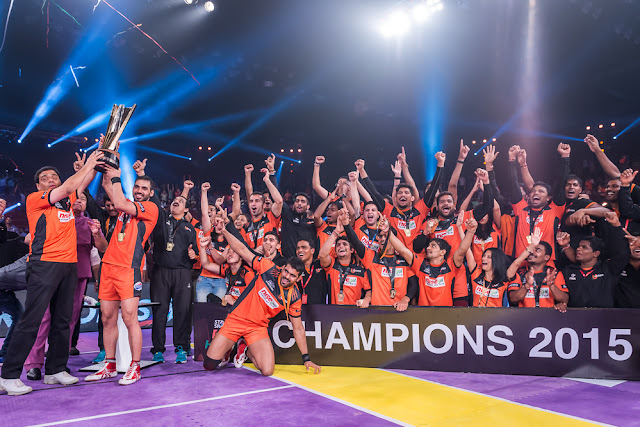 U Mumba was the runner up to the Jaipur Pink Panthers in the inaugural season of pro kabaddi league. 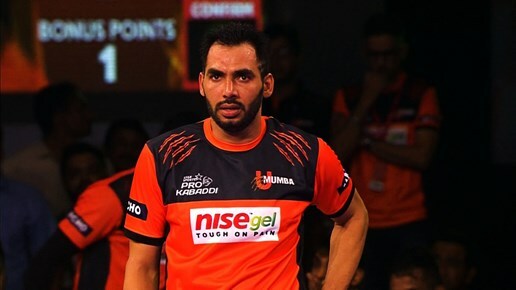 the team is having cool captain Anup Kumar. The Arjun awardee Anup Kumar has been with the team of U Mumba from day 1 and was retain ahead in pro kabaddi league season 5 auctions.. The key transfers of U Mumba is Kuldeep Singh the young all rounder and Shabeer Bapu The decision to bring back former Mumbai man into the team after an away season at Jaipur was a refreshing change for fans of the team. Shabeer was the team’s first choice raider in the past and he will look to reprise the same role in the forthcoming season as well. The matches of U Mumba starts from 28 July 2017.